The Munster Rugby Development Department recently held a number of courses for coaches of mini, age-grade and adult players across the province. Newcastlewest RFC hosted a stage 1 coaching course for coaches of mini rugby (5-12 years old) where players are introduced to rugby for the first time and participate in games of reduced numbers (8s, 10s and 12-a-side). 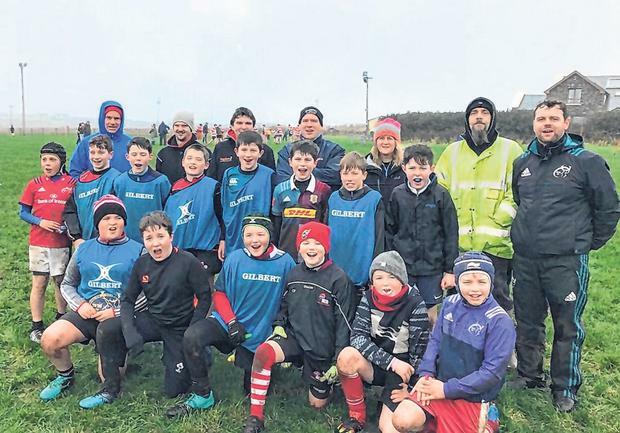 Rugbaí Chorca Dhuibhne RFC hosted a stage 1 coaching workshop to review the rules and regulations associated with the different levels of mini rugby and to explore effective player development through a game-sense coaching approach. Killorglin RFC held a stage 2 & 3 coaching workshop with over 50 players from the Kerry club's age-grade section involved in practical demonstrations.